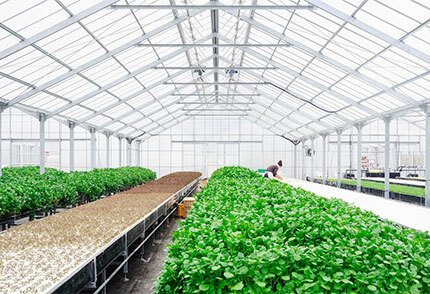 For greenhouse operators, the minimum container height requirement has been deleted. The required volume of soil in a containerized system was reduced from 70 L/m2 to 60 L/m2. For food processors using ascorbic acid (vitamin C) and sodium bicarbonate (baking soda), there is no longer a requirement to do a commercial availability search for non-synthetic sources. If you are using a sanitizer on food or food contact surfaces without a removal event (like a rinse or purge), only active ingredients listed in Table 7.3 (such as peracetic acid or hydrogen peroxide) plus chemicals used to stabilize those ingredients are permitted. Any other ingredients not in Table 7.3 (e.g. dyes and fragrances) are not allowed. There is no longer a requirement to confirm packaging materials are from non-GE sources. Do you have suggestions for changes to the Canadian standard? By 2020, a full review of the Canadian Organic Standards and PSL will be conducted. Your perspective is important – please consider joining a working group or completing a modification request and make sure that your voice is heard!